This book brought so much joy to my heart in the writing of it. I wrote it for fun, for me, without any initial thought of publication. I justified watching Downton Abbey as research for it, and snorted in amusement to myself at some of the parallels between the Crawley sisters and my own Whitney sisters, and knew that, if ever it did get published, I would hear claims that I was copying Downton. I read and re-read all of Agatha Christie’s books set in the ’20s, and took great glee in turning the Tommy-and-Tuppence relationship on its head with Maia and Len – where she was the methodical, practical one, and he was the one given to impulse and flashes of insight. I realized partway through that not only was I thoroughly enjoying writing this, it was shaping up to be the best thing I’d ever written, and the most publishable. I wrote two short stories set in the same world, but with different characters and in different eras, and in doing so ended up solidifying the way the magic works and the rules surrounding its use. 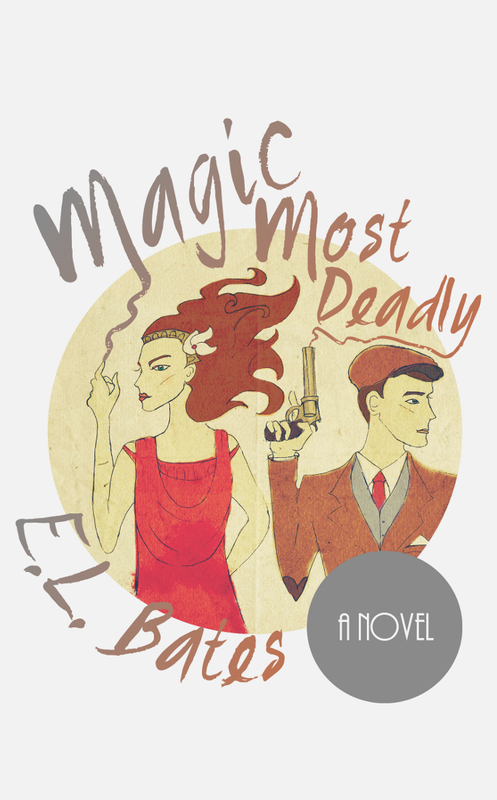 Magic Most Deadly is available right now in ebook form through Amazon and Smashwords. Nook and iTunes should be available by the end of the week (I’ll post live links as they become available). The paperback is available through Createspace right now, and through Amazon by the end of the week as well (ditto with that link). The Goodreads giveaway for a paperback copy is still running, and will be open until October 10. A thousand thanks to everyone who has encouraged, helped, watched, and cheered me on along the way. I couldn’t have done it without any of you. Special thanks especially to A.M. Weir, Angelika O, TJ Loveless, Laura R, Kathryn Jonell, Amanda McCrina, and MOST especially to Carl, Joy & Grace, Mom & Dad, and Lis.